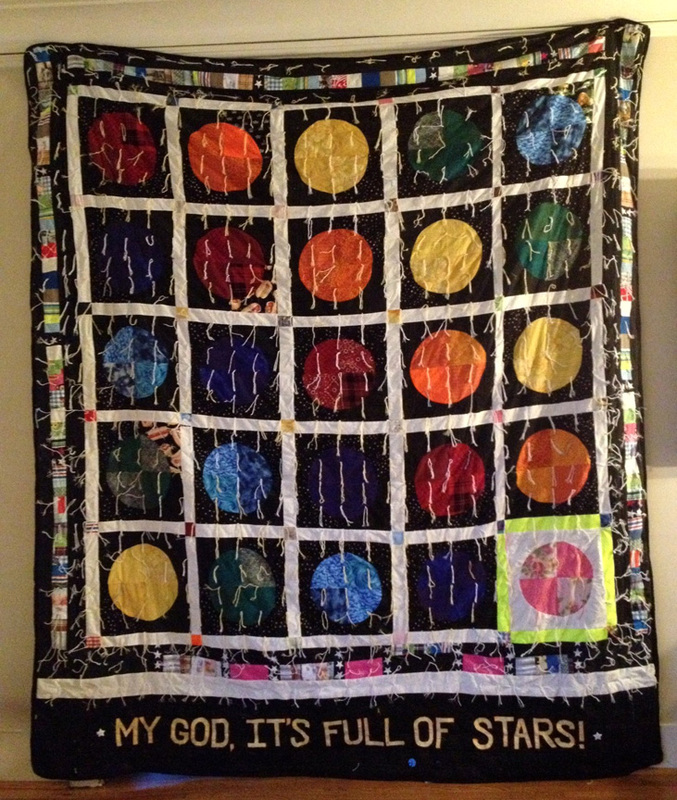 I love the line, "My God, it's full of stars! 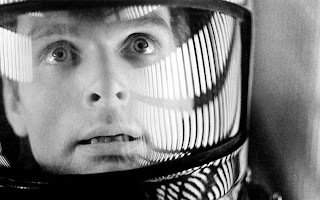 ", from Arthur C. Clarke's book 2001: A Space Odyssey. It didn't make it into Kubrick's film but was included in the sequel 2010: The Year We Make Contact. 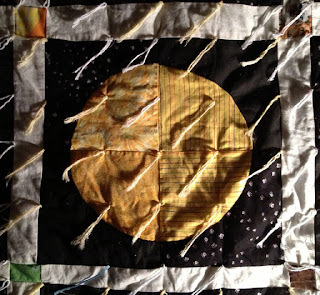 As I was working on the quilt, the round shapes became more and more planetary/star-like and this slowly developed. 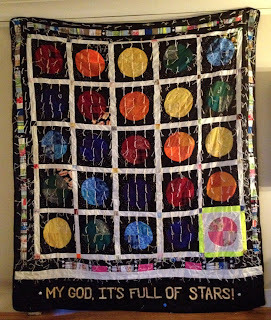 Instead of machine quilting it like The Great Northwest, I decided that I'd try to tie it together to mimic galaxies of stars so that the quilt would feel like it was full of stars. 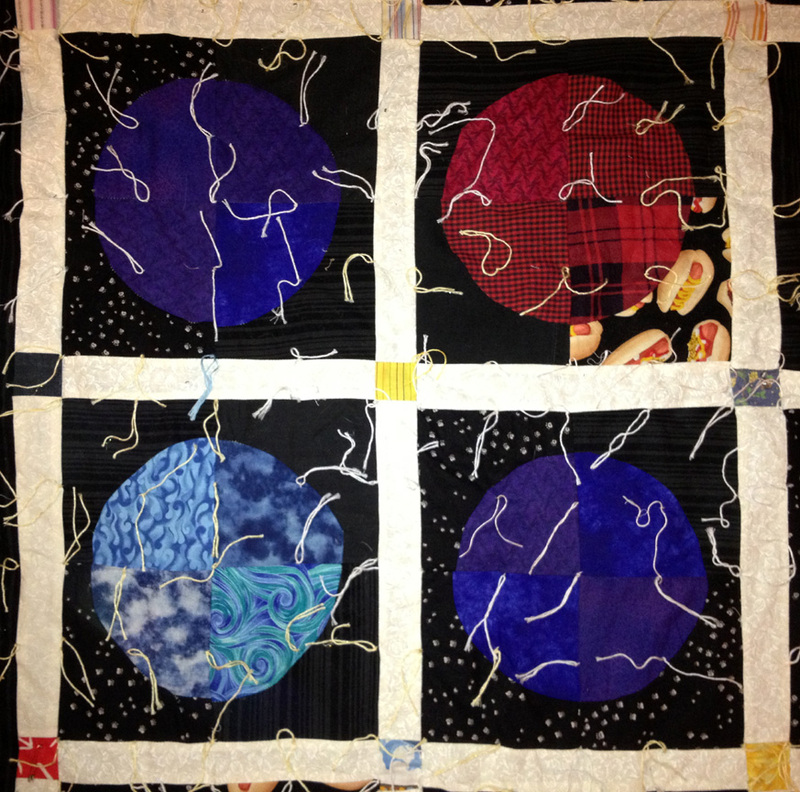 This will be one of 4 quilts that I'll be showing (plus trying to make one or two new ones down in the space in a make-shift residency) for the upcoming The Camp Out series of exhibitions as part of the Storefronts project. I think the only hold-up right now is keys to the space. Hopefully, it will all work out and you can check it out (in the Smith Tower) next First Thursday (Jan 3, 2013). 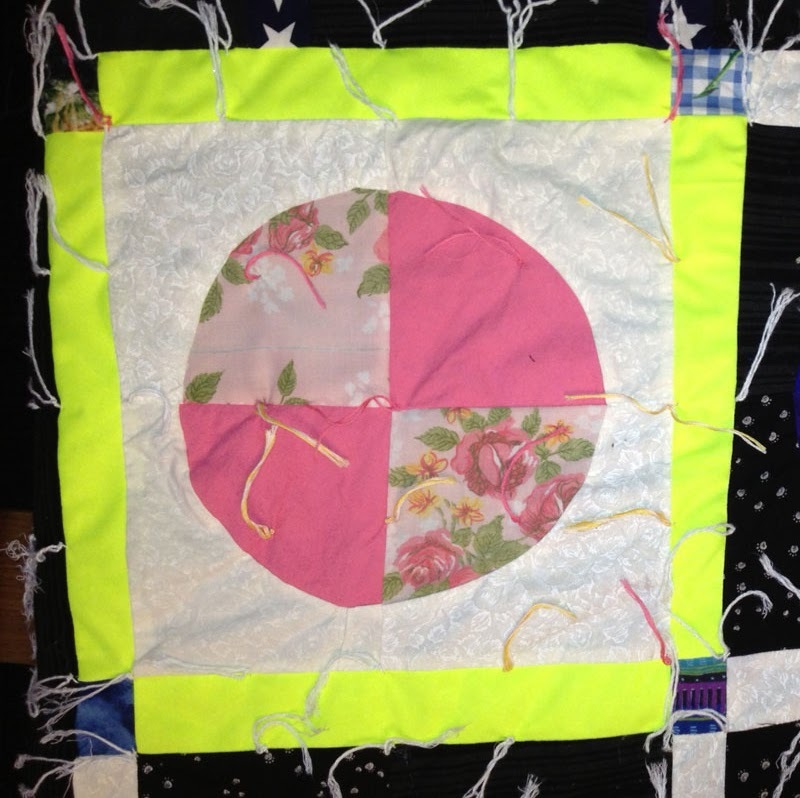 I like my quilts to have an A-side and B-side. The A-side is the side that's presented and the B-side is something related (though the Twin Peaks B-side could really be its own A-side). 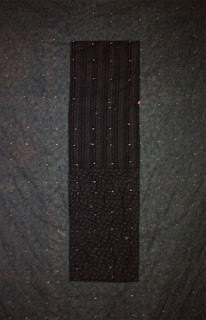 For this quilt, I thought the perfect back would be the monolith. I love how the back of the knots create an ordered field of stars. 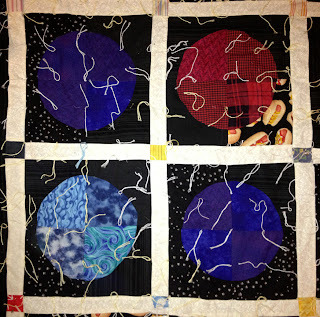 Sleep under this quilt for strange and beautiful dreams! 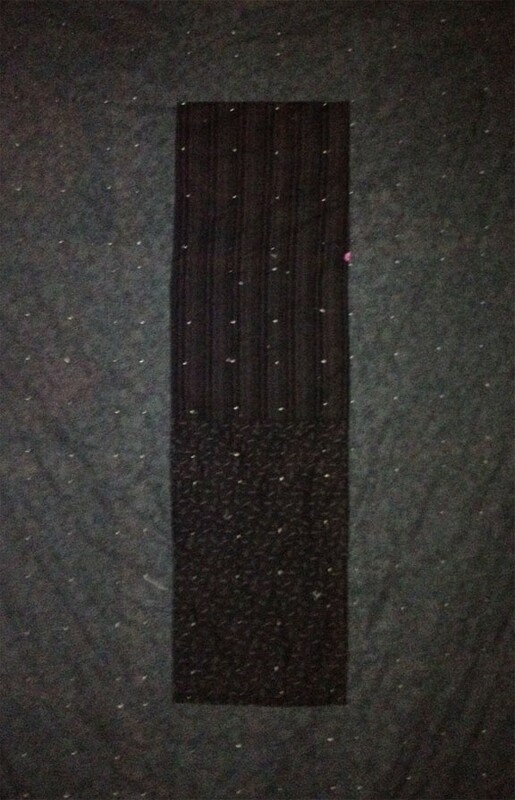 Perfect for a cold & snowy night!